Product #60834 | SKU XSW-D VOCAL SET | 0.0 (no ratings yet) Thanks for your rating! 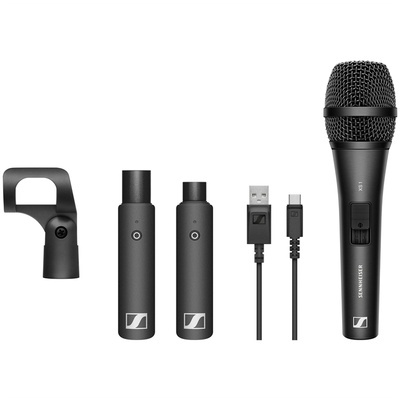 The Sennheiser XSW-D VOCAL SET is an easy entry point into the world of wireless microphone audio for singers, vocalists, and presenters looking for a stage-ready system that's both cost effective and simple to use. It puts world-renowned Sennheiser wireless sound quality in a miniaturised, plug-and-go, 1-button digital system that anyone can operate. Plug it in, power it up, and you're immediately up and running, streamlining your setup so you can concentrate on delivering your performance with confidence.